﻿ Nothart Industry Sectors | Construction | Nothart Engineered Sales Ltd. The word Construction is a very open-ended term. 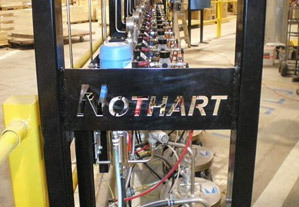 At Nothart, Construction means that your facility plans have pumps, (pressure, sump, fire, circulation, booster etc ), level sensors, filters, or fans as part of their infrastructure. Given that Nothart represents the most reliable and trusted brands and products available in the marketplace, we would appreciate the opportunity to provide high quality, durable equipment for your application. Whether your needs are for single building, manufacturing expansion or subdivision, we guarantee to have exactly what you need and we commit to sourcing it all for you.